Buying from a website can sometimes be compared with walking into a shop blindfolded, asking the assistant if they have the product you need and then handing over the required amount of money without ever knowing who you actually dealt with. You get home and keep your fingers crossed, its the right thing! You may have just bought from an unscrupulous trader who has an endless list of unhappy customers, someone who doesn't have any form of after sales procedures, someone who doesnt take the relevant steps to keep your personal data private, someone who stores your credit card details which could be open to fraud, someone who passes or even worse, sells your personal details onto a third party! But hey, you're only bothered about getting your product for the lowest price, right? If you have the choice to buy the same product at the same price from either the 'rogue trader' with no offer of security, professionalism or guarantees or from a Family run business who make every possible effort to ensure everything they do is to the highest standard. Who would you choose?? 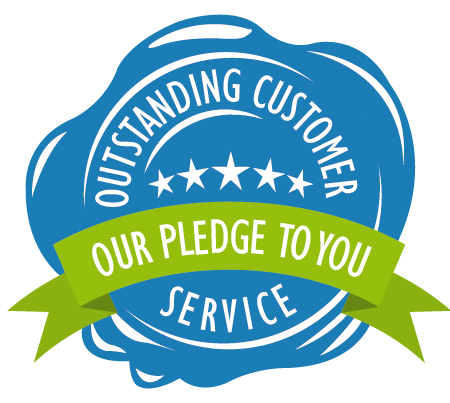 We believe its possible to still offer good old fashioned service to our customers even through the power and convenience of the internet. We are a small enough team to care about every single order we take. We have invested heavily into automated systems to ensure we can have the time to stay in control. We offer our telephone number for easy contact - no call centres - no endless options that go round in circles. We hold massive stocks and we open and inspect every product before it is dispatched. We double box and add extra protection to every product that leaves our depot by courier.